Whether you are moving or decluttering, Metro Self Storage can help you get organized. We offer a wide range of Knoxville storage units for rent with drive-up access, great security features, and flexible, month-to-month leasing. A handy 5X5 or 10X10 can handle small projects and our large storage units are ideal for storing everything from the contents of a one-bedroom apartment to a four-bedroom home. Selecting the perfect size is easy with a little help from our friendly, professional storage team. We will ask you what you plan to store and how often you may need to access your items. Once we figure out how much space you need, and whether or not a climate-controlled unit is right for your items, we will show you different options so you can feel confident that you have selected the correct size. If you're in the middle of a move or want to bring order to your home, you know that the costs add up quickly. Take advantage of our online promotional storage rates and reserve a storage unit online or call us to learn more about your best choice for storage in Knoxville. If you need to free up valuable office space or to warehouse business inventory, at Metro Self Storage, we understand that storage is not a one-size-fits-all solution. We offer modern storage amenities to help businesses of all types and sizes with their storage needs. 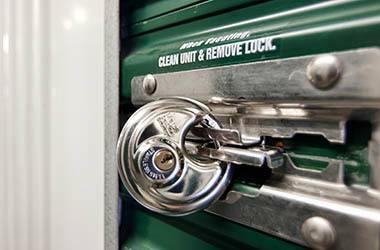 Consider Metro Self Storage your business storage solution. Call us today for more information about Knoxville commercial storage units for rent in your area. Knoxville isn’t considered just one of the best places to retire, it is featured on Livability as a great city for professionals and families too. The University of Tennessee draws students from around the world and Downtown Knoxville features The Cherokee Farm Innovation Campus and Pellissippi Place for businesses of all sizes. Not only does Knoxville offer a number of attractions within the city limits, there are plenty of things to do in nearby Concord Park and Fort Loudoun. With so much to do and see, we understand business and household storage spaces can fill up quickly. 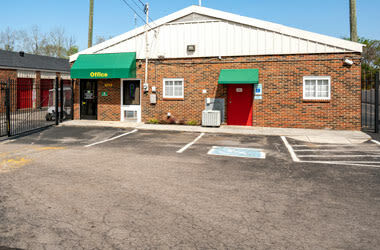 Metro Self Storage on Kingston Pike between the Farragut and Bearden neighborhoods, is the ideal solution. From outdoor recreational gear and household items to business records and inventory, Metro Self Storage is here to make moving and organizing easier.